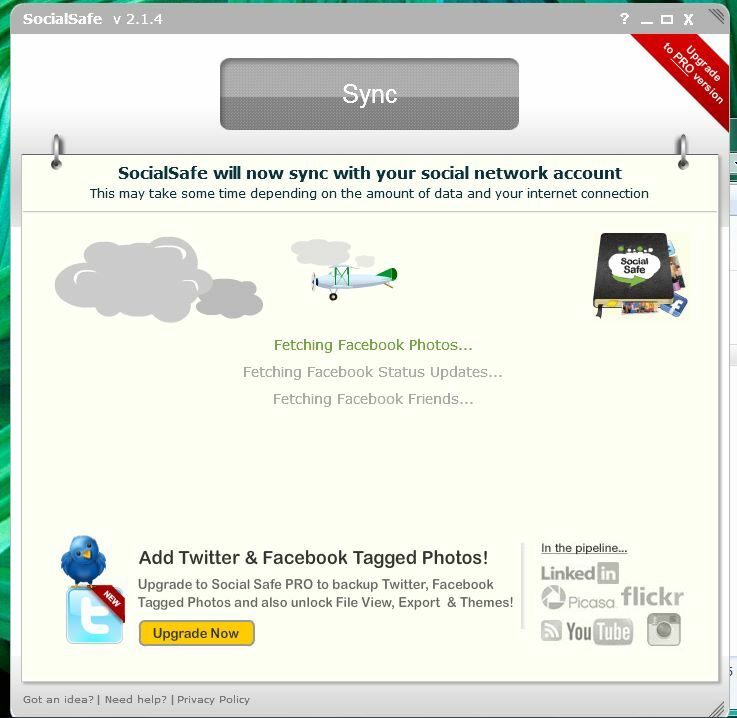 SocialSafe is a backup & digital diary tool for Facebook, twitter and other Social Networks. It currently enables you to download your Facebook Status Updates, Friends, Profile & Album Photos. The Pro version will additionally enable you to download your Facebook Wall Posts, Tagged Photos, comments and likes . A full export is also possible with the Pro version, as is the download of your twitter Bio, Followers, Following, tweets, Mentions & Direct Messages. You are able to view your saved data offline, with additional viewer functionality also available in the Pro version. The app enables you to view your saved data in a diary form and also as simple files with the Pro version.